I remember the time when I was about 8 years old and my dad asked me some GK questions. Fortunately I answered them all and gladly he asked me, ‘what gift do you want beta?’. Instantly I replied, ‘a story book’. And next evening he got me two story books. That was the beginning of a love that I have not had enough of even though it was crushed a few times. By the time I entered higher secondary, my love for books only deepened. That was when one night my dad snatched a novel from me (I was reading ‘the naughtiest girl in the school’) and asked me to concentrate on my course books which he primarily meant were Maths and Science books. In the next few years I had given up the habit of reading books and then I met my friend Shlagha. She is an avid reader and with her I developed a stronger love for all kinds of books. She taught me how ‘not’ to judge a book by its cover and how books can give you solace. Away from family, fed up at work, I often immersed myself in books that took me to different worlds each time I opened them up. I am often asked how to develop the habit of reading books (I am by far the only person in family and relations who reads books other than the course work). The post is an attempt to tell you to develop the habit of reading books. Read, read read – this is the first, basic step. Until you actually take this step of picking up a book and getting on to reading it, you won’t read. And when I say read, I mean ‘Read with attention’. Don’t just glance through the words. Read anything – a newspaper, magazine, blog. Just get onto reading. Pick a small, light book – this one is a cheat. It is just to lure you to get reading more. People who do not have a habit of reading often get scared of the thickness or the number of pages a book contains. So, to be easy on yourself pick a book which is small and light. A book with about 100 pages is good to start with. It can be finished soon and you would pat yourself for actually finishing a book reading. Pick an interesting book – the first book you decide to read should be very interesting. Now this is highly subjective. Interest lies in the eyes of beholder! Depending on your choice and interest, pick a book that sounds appealing to you. The first novel I read was ‘Heidi’ by Jonathan Swift. And I must say that it was the book that gave me the yearn for more such stories. Pick a sci-fi, fiction, non-fiction that suits your taste. Seek company of book readers – by book readers here I mean the people who read lot of books and not the Kindle! Being with people who read often influences you in a way. That is how I got into book reading. Having such friends adds value to your life in more ways than one. They may guide you in picking up good reads. Since they have already read many books they are more well read and hence you can discuss about books with them. Also, seeing someone reading may prompt you also to read. Carry a book with you always – this one is a must. Carrying a book always lets you read whenever and wherever you are free. You may not know when you get few moments that allow you to read. Waiting for a bus, or for a friend at a point, while sipping coffee or sitting in a metro – these are excellent times you can spend in reading a book. Make a ‘to-read’ list – few years ago I went through Observer Magazine’s list of best 100 fiction books and I realized that I had read just 10 of those great 100 books. That list motivated me to read more and I am glad I finished five more. 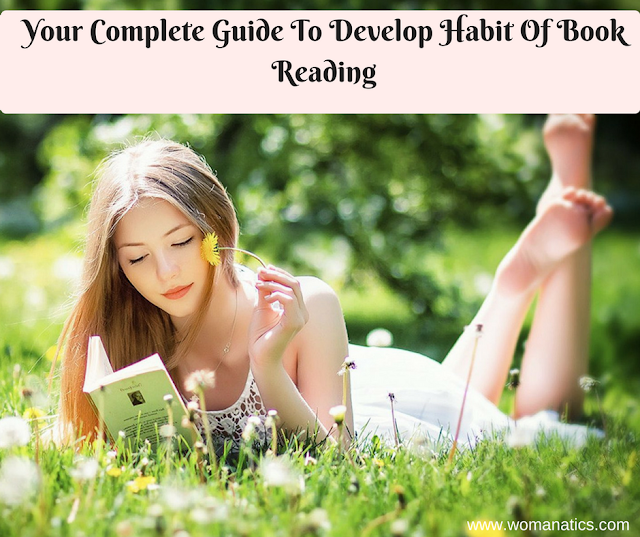 Having a to-read list means having a goal and it will help you in keeping focused on the habit. Make book reading a routine – I am currently reading ‘Tuesdays with Morrie’. It is a thin book but I haven’t finished it yet in more than a week’s time. Though I take more time in reading books now because don’t know why but my daughter has to pounce on exactly the same book that I hold in my hands. While she sleeps, I try to blog so that hardly leaves me with any time to read. But having said that, I still take out 5 – 10 mins each night to finish a few pages. Find a suitable place and time that lets you read – reading is an activity that needs full concentration. If you can’t focus while reading, you would prefer giving it up than going on with just flipping the pages. So as a first thing find a place and time that supports your reading. Sit in the backyard or under the porch, in a balcony or on the terrace in evenings or early mornings. These are the places and time zones that are relatively more peaceful and add enjoyment to reading. Set up a home library – setting up a home library works two ways. First, it feels good to have a collection at home. People who love collecting items will agree with me and they will feel happy to see a collection of books. Second, when you have a book, in most probability you will pick it up to read. Also, home library makes books easily accessible to you. Suppose you are not interested in reading the book you have been reading, you can pick up a different book for a change. Similarly, if you have finished reading one, you don’t have to wait to go to market to get another book. It is already there on the shelf. Buy books (used/rare/classics) – this tip comes from a friend who loves reading all kinds of books and keeps buying them. She says whenever she visits a book store and she sees loads of books she hasn’t read, she gets tempted to read all of them! So she buys couple of them makes it a point to read them before visiting the store again. Books are inexpensive – many people feel books are an expense which is not true at all. You can get used books in the local Sunday market or can rent them from a store that rents books. Another way is exchanging books with fellow readers. Sometimes in bargaining you can catch hold of a rare yet famous book at an unbelievably low price. I have been lucky many times! You are so right. Reading opens a whole new world – everyday! You have hereby been nominated for the Liebster Blog Award – a blog that deserves more recognition. Great info, great reads. Thanks. Check out http://www.ArtEpicurean.blogspot.com to find out what exactly this award is about and pay it forward. I love reading! I read a lot in grade school and up until college. Sometimes it is hard as an adult to carve out time to read, but I have been making a habit of it using some of the things you mentioned. Good encouragement to keep going! Thanks for nominating me. I will pay it forward and will nominate other blogs. Thanks again. Yeah! And kids can cause big disturbances some times. What kind of books do you love to read? I love fiction though slowly I am moving towards non-fiction. Your tips really encourage reading. Usually I love to read in my free times. I also have a small library at home.